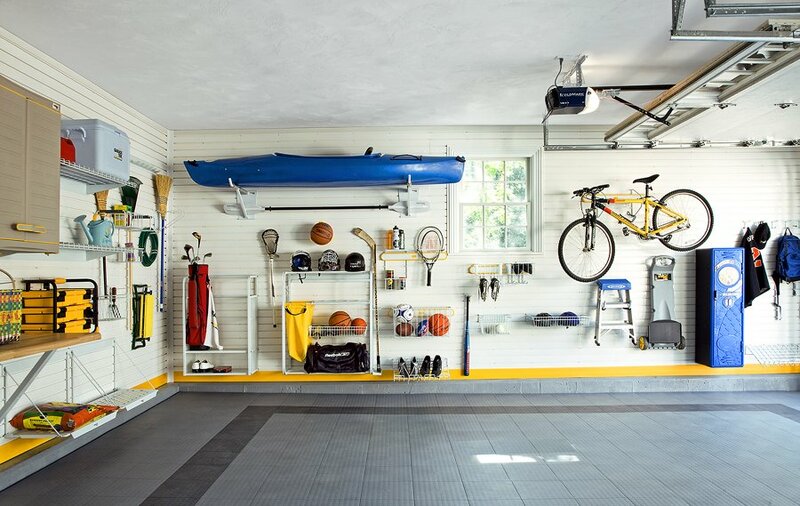 Do you wish your garage was more organized and inviting? Maybe you have large piles of items that prevent you from pulling your car into the garage on rainy or snowy days. The best approach to organizing your garage is to do it in a gradual way. Look at three simple things that can help you begin the process of organizing your garage. Plastic containers with lids can help you organize both large and small items in your garage. For instance, you can put all of your work gloves in one labeled container and all of your clean rags in another. If you have pool toys put them in a large plastic container and place them inside one of your overhead storage cabinets. That way, they will stay safe and in great condition until the next swimming season. Storage shelves are a useful item in a garage. You can put boxes of old clothes on them, tools and cleaning supplies. A sturdy set of shelves can help you to keep all of your boxes and other items off the ground in case water leaks onto your garage floor. Having shelves in your garage allows you to see what you have so you can access the items you want right away. Put aside one corner in your garage for yard tools such as rakes, shovels and brooms. Make the area even more organized by putting up a wall storage structure so each tool has its place. If one corner is designated for yard tools, you can keep them apart from other types of tools. Finally, having an organized garage means you are more likely to set up a workshop there or simply spend time out in your garage on various projects. Plus, keeping your garage organized allows you to have a space for your car so you can keep it out of the inclement weather. Just think of how nice it will be to get out of your car in a dry garage.